If you chose to stream anything over this holiday weekend, then perhaps you saw some promotions for one of two documentaries on the 2017 Fyre Festival. Last week, Hulu released Fyre Fraud and Netflix released Fyre: The Greatest Party That Never Happened, each about the elite concert event in the Bahamas that ended in complete disaster in 2017. But what was the Fyre Festival, and why was it worthy of not one, but two non-fiction accounts? Fyre Festival was marketed as a concert event in the Bahamas, with beachside villas, fine food and partying with social media influencers and celebrities included. The event was promoted by people as famous as Kendall Jenner and Bella Hadid. Performances by G.O.O.D Music and Blink-182 were promised. Migos was supposed to be there, too. The cheapest ticket for Fyre Festival cost $1,200. Some people paid six figures for extras. When guests arrived, they found none of the promised amenities. The island contained some pre-packaged sandwiches, tents and free alcohol, but none of the gourmet meals and high-class opulence people were paying for. When people began outing Fyre Festival as possibly fraudulent, the whole event was cancelled. This was after people were reported showing up to tents without beds in them, people fighting over hastily-provided sleeping bags and images leaking of desolate dirt lots and folding chairs where much, much more had been assured. Fyre Festival was promoted as a cashless event as well, with attendees asked to load money onto digital wristbands, so few people could negotiate travel back to Florida or buy accommodations in the nearby town. Now, the organizers of Fyre Festival are facing eight lawsuits, one seeking over $100 million in damages. The cases accuse the organizers, including musician Ja Rule and event founder Billy McFarland, of defrauding the concertgoers. McFarland pleaded guilty in March 2018 of two accounts of fraud. He was sentenced to six years in prison in October and ordered to forfeit $26 million for wire fraud. He appears in the Hulu documentary before the beginning of his sentence. 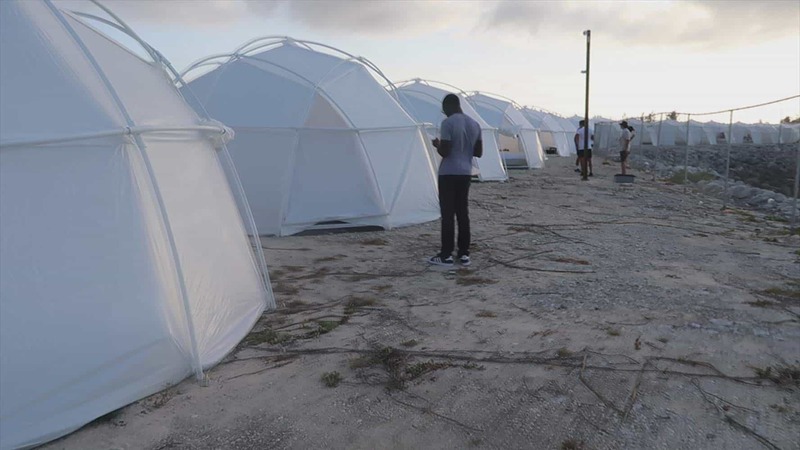 Meanwhile, Bahamian locals who were prepared to work during Fyre Festival are out a lot of money, in some cases tens of thousands of dollars. One local, Maryann Rolle, who owns the resort that was set to cater the festival, had to take $50,000 out of her savings to pay staff. A GoFundMe Rolle created to help her situation has taken off, and she’s been able to make the money back. It’s a story that could be surface-level and trite, especially considering how easy it is for the media to make fun of upper-class people who spend money on frivolous things, but the scam of the Fyre Festival had real consequences for honest, hard-working people in the Bahamas. It’s a wild story, but the aftershocks were damaging.